Where can I find a differentiated instruction lesson on the Iroquois Confederacy? There are two places where you can find the differentiated instruction lesson on the Iroquois Confederacy. 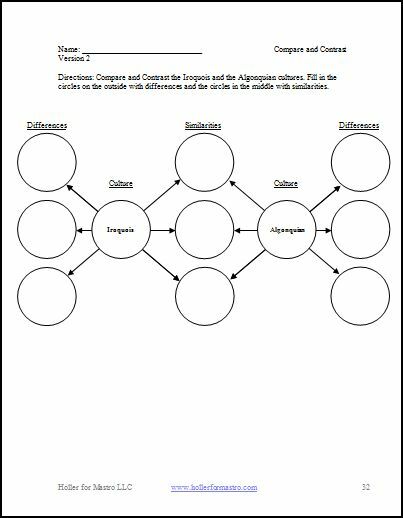 The differentiated instruction lesson plan on the Iroquois Confederacy uses different ability levels to help all students learn the content. It also includes a fun activity that allows students to pretend they are part of the Grand Council. They have to decide if the Tuscarora should be allowed to join the Confederacy. How does the Iroquois Confederacy Lesson Plan differentiate instruction? What content is used in the Iroquois Confederacy lesson plan? This entry was posted in Native American Differentiated Instruction Lesson Plans, New York State Social Studies, Social Studies Differentiated Instruction, Social Studies Differentiated Instruction Lesson Plans, Social Studies PowerPoints and tagged Iroquois Confederacy, Iroquois Confederacy differentiated instruction lesson plan, Iroquois Confederacy Lesson, Iroquois Confederacy Lesson Plan, NYS social studies curriculum and standards, social studies differentiated instruction, social studies differentiated instruction lesson plans on October 18, 2012 by Kasha Mastrodomenico. Where can I find the Iroquois and Algonquian Cultures Lesson? How does the Iroquois and Algonquian Culture Lesson Plan differentiate instruction? What is in the Iroquois and Algonquian Culture Lesson Plan? This entry was posted in Native American Differentiated Instruction Lesson Plans, New York State Social Studies, Social Studies Differentiated Instruction, Social Studies Differentiated Instruction Lesson Plans and tagged Iroquois and Algonquian Culture Differentiated Instruction Lesson Plan, Iroquois and Algonquian Culture Lesson Plan, Iroquois and Algonquian Cultures, NYS social studies curriculum and standards, social studies differentiated instruction, social studies differentiated instruction lesson plans on October 11, 2012 by Kasha Mastrodomenico. 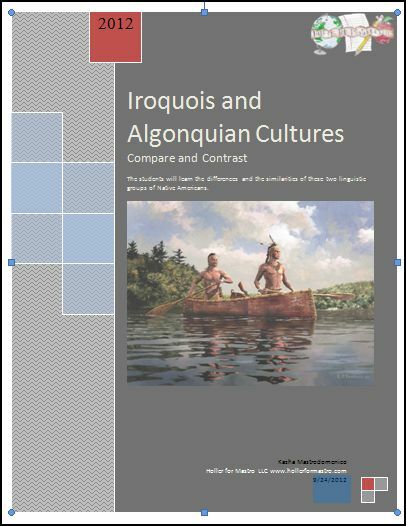 How does the Iroquois and Algonquian Cultures Lesson Plan include differentiated instruction? Where can I find the Iroquois and Algonquian Cultures Lesson Plan? You can find all of my social studies differentiated instruction lesson plans and PowerPoints at: http://www.teacherspayteachers.com/Store/Kasha-Mastrodomenico. Check it out! This entry was posted in Native American Differentiated Instruction Lesson Plans, New York State Social Studies, Social Studies Differentiated Instruction, Social Studies Differentiated Instruction Lesson Plans and tagged Algonquian and Iroquois, differentiated instruction, Iroquois and Algonquian Cultures, Iroquois and Algonquian Cultures Lesson Plan, Iroquois and Algonquian Differentiated Instruction Lesson Plan, NYS 7th grade social studies curriculum, social studies differentiated instruction on October 11, 2012 by Kasha Mastrodomenico. 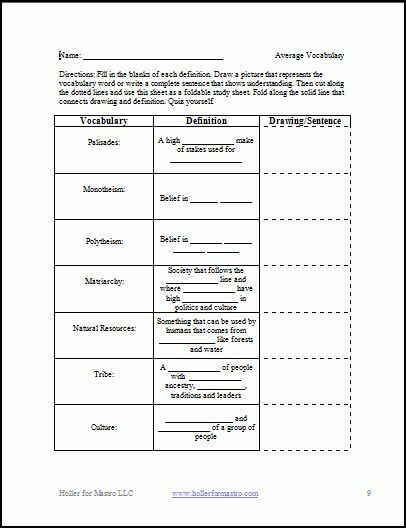 In my opinion, it is important to split this content up into three different social studies differentiated instruction lesson plans. 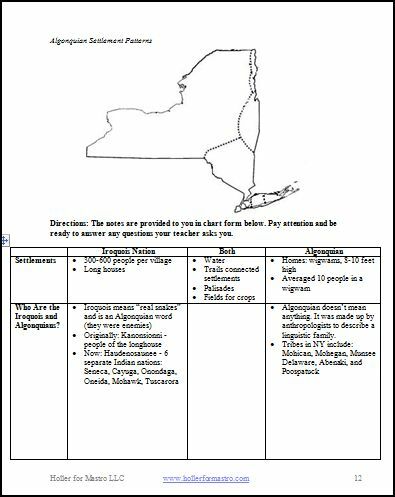 When I made the Geographic Regions of NYS lesson plan, I focused on the geographic regions of NY, diversity of flora and fauna, and the weather patterns. I also added the Great Lakes and the major natural waterways of NYS. I did this to show the importance of water that will be built upon in the next lesson plan. 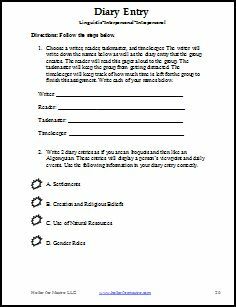 The Iroquois Confederacy Lesson Plan focuses on the Government and gender roles within the government. This entry was posted in Native American Differentiated Instruction Lesson Plans, New York State Social Studies, Social Studies Differentiated Instruction, Social Studies Differentiated Instruction Lesson Plans, Social Studies PowerPoints and tagged 7th grade NYS social studies curriculum, Diversity of flora and fauna in NYS, Geographic Regions of New York, Geographic Regions of NYS lesson plan, Iroquois (Haudenosaunee-People of the Longhouse) and Algonquian People adapted to the environment in which they settled, Iroquois (Haudenosaunee—People of the Longhouse) and Algonquian People adapted to the environment in which they settled 1. Geographic regions of New Yo r k 2. Diversity of flora and fauna 3. Seasons a, Iroquois and Algonquian Cultures, Iroquois Confederacy, Kinds of Settlements and Settlement patterns of the Iroquois, Seasons and weather patterns of NYS, social studies differentiated instruction, social studies differentiated instruction lesson plans on October 11, 2012 by Kasha Mastrodomenico.